Welcome to your affordable Baby Lake getaway! Gradual elevation leads to a level lakeside area at water&apos;s edge, with sandy/hard bottom shoreline perfect for swimming & great fishing right off the dock. This rustic cabin is ready to enjoy now, or is the perfect spot to build, or bring your camper. Surrounded by 1000&apos;s of acres of public land & trail systems, the Baby Lake chain offers scenic boating, outstanding fishing, & low boat traffic. Conveniently located between Hackensack & Longville. Enjoy world-class walleye fishing right in front of your cabin at Leech Lake! 3-Bed/2-Bath cabin offers private harbor slip, & all the amenities of Big Rock Resort including a heated pool & tennis courts. You&apos;ll love maintenance-free cabin life with excellent rental revenue potential! This country home was built with spectacular views of Grave Lake in mind. A wall of windows, deck, & a paver patio all provide beautiful views of undeveloped lakeshore, without lakeshore taxes! The public access to this pristine lake, with 20&apos; water clarity, is within walking distance. Thousands of acres of public land w/ATV & snowmobile trails right out the back door. A cozy chalet w/hand hewn log siding, 2 fireplaces, 2 main floor bedrooms, plus a loft & a large, lower-level family room! 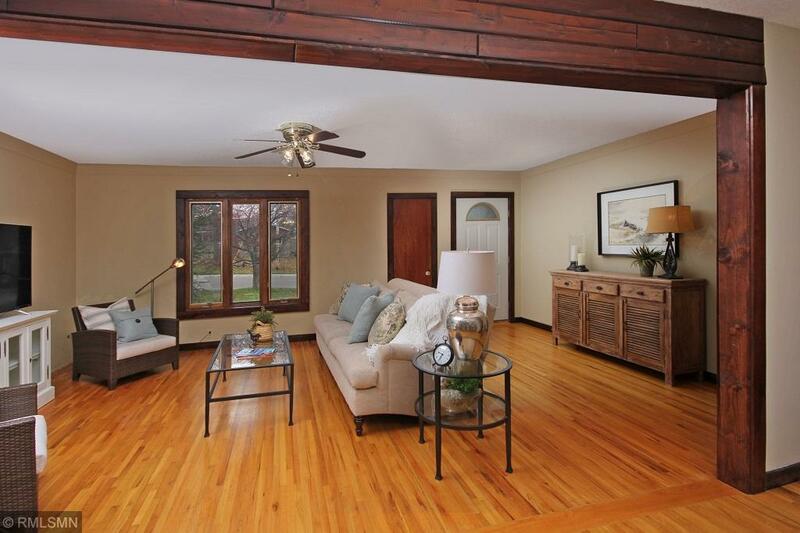 Beautiful, spacious home with an excellent location, less than 3 miles to Walker. 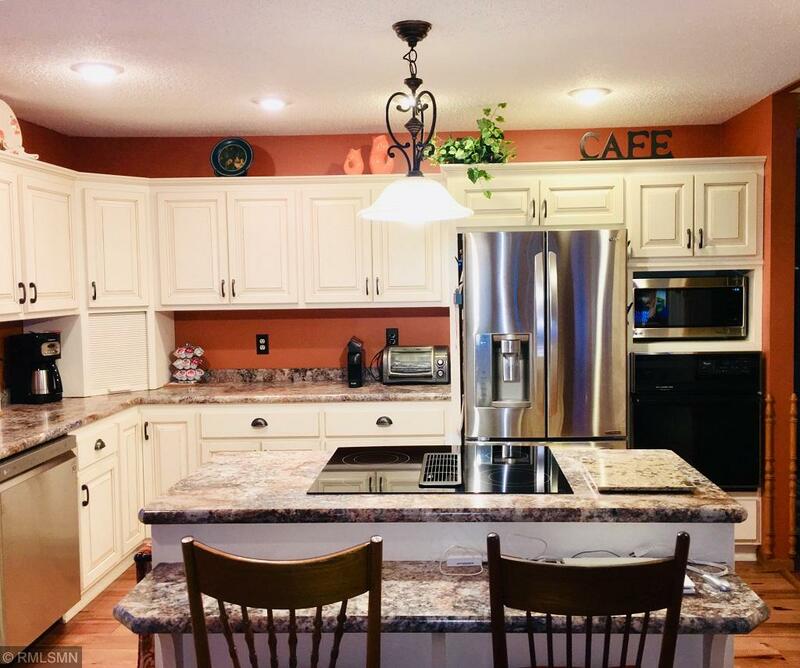 Remodeled, updated kitchen, formal dining room, new roof, finished walkout basement and comes with a shared deeded access to Leech Lake! This darling bunkhouse is above a 2-stall garage on prestigious Stony Lake & features Brazilian cherry hardwood flooring, custom cabinetry, tongue & groove ceiling, freestanding wood-burning fireplace, spray foam insulation & the plumbing is roughed in for a potential future well & septic. 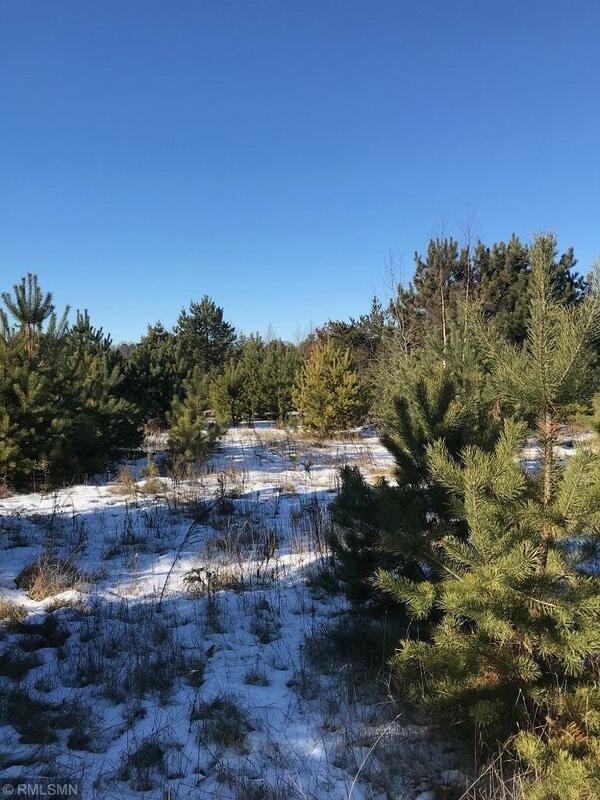 This gorgeous lot has a cleared building site for a future home, towering pines & gentle elevation to the lake & is less than 1.2 miles from the Paul Bunyan Trail for hiking, biking & snowmobile adventures! This near-23-acre parcel is located near beautiful Lake Ada. All high ground with ample space for building your new home, plus shed and/or pole barn. This property was an old tree farm with White Pine, Norway Pine, & Scotch Pine trees. There is some tree equipment to be sold/conveyed with the property. Large space & lots of potential, in the heart of lakes-country! Birch Lake cottage with hard bottom lakeshore. 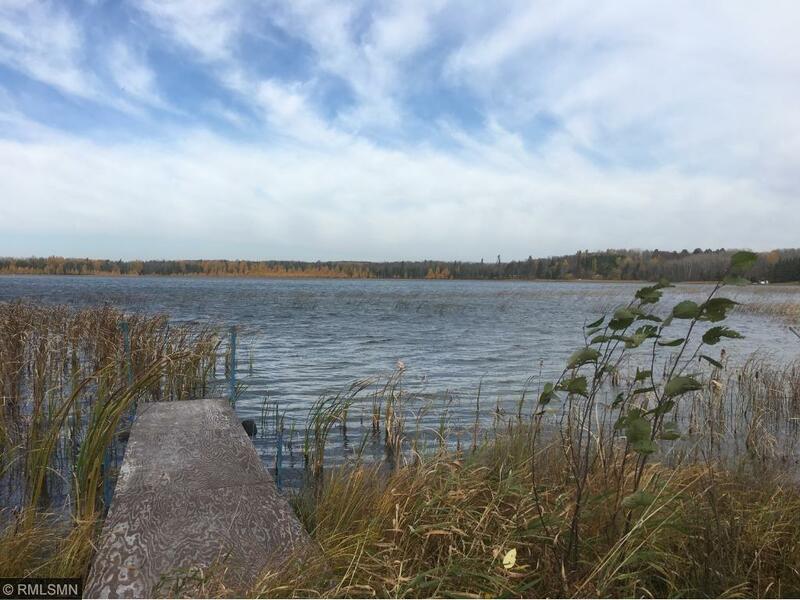 Great for swimming and all recreation Birch Lake has to offer. Newer 24 x 30 garage with heated bunk room above. Paved drive to the property, city sewer, large lakeside deck, and towering pines. Close to Hackensack and the Paul Bunyan Trail. 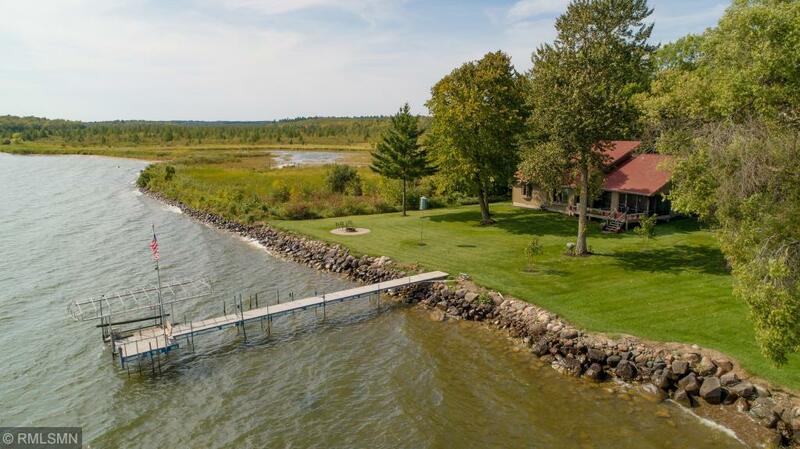 This gorgeous level lot on Leech Lake boasts 152&apos; of frontage, .71 acres, easterly views for spectacular sunrises & is nestled in a protected bay. The immaculate home features an open concept living area, living room wall of lakeside windows, cathedral ceiling, gas fireplace, lakeside deck, attached TRIPLE garage that is insulated and heated & more. This single level living does not have ONE single stair in the entire home. An additional 101&apos; of frontage and .55 acres also available. This charming Walker country home is less than 8 miles from town (all paved roads!) & features a newly remodeled main level living area, gas fireplace, hardwood flooring, main floor master bedroom including a walk-in closet with a 2nd washer/dryer, 2 large upper level bedrooms, lower level family room area, work out room, 2 decks for entertaining, multiple heat sources, double attached garage & is less than 1/2 mile from the Heartland State Trail for hiking, biking & snowmobile adventures. 150&apos; and 3 acres on Kabekona Lake, with owner financing available! This oversized lot offers a level building site, excellent privacy, and plenty of room for outbuildings. Kabekona Lake is known for its outstanding walleye fishing, crystal clear waters, and scenic up north beauty! No covenants, build your dream home or start enjoying lake living with your camper! Driveway and building site are brushed out for you. Attractive owner financing available! Breathtaking panoramic views of Baby Lake await you from the wall of lakeside windows the moment you enter this year-round home. Very private setting, 4 bedrooms, 3 baths, full finished walk-out lower level, vaulted ceilings, 2 fireplaces, open floor plan, hickory wood floors, maple cabinets, granite counter tops, owner&apos;s suite features private full bath, 157&apos; of lakeshore, 2.86 acres. 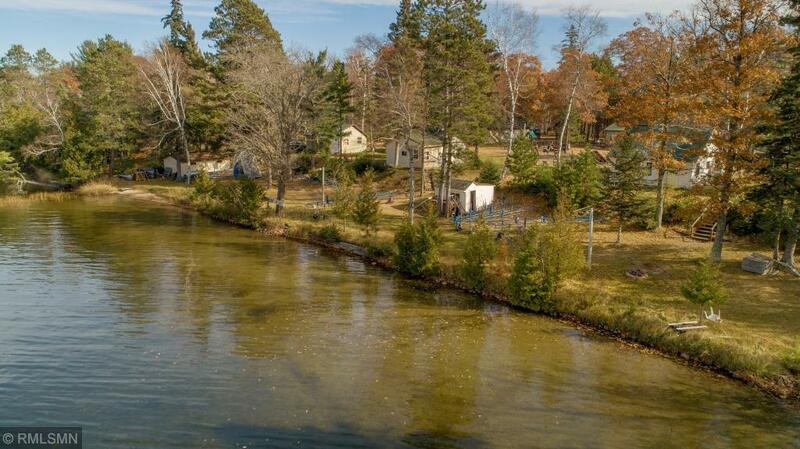 Enjoy great fishing, boating & swimming on the well known Baby, Man, McKeown Lake chain. Owner is an agent. Your dream lake home with all the amenities! 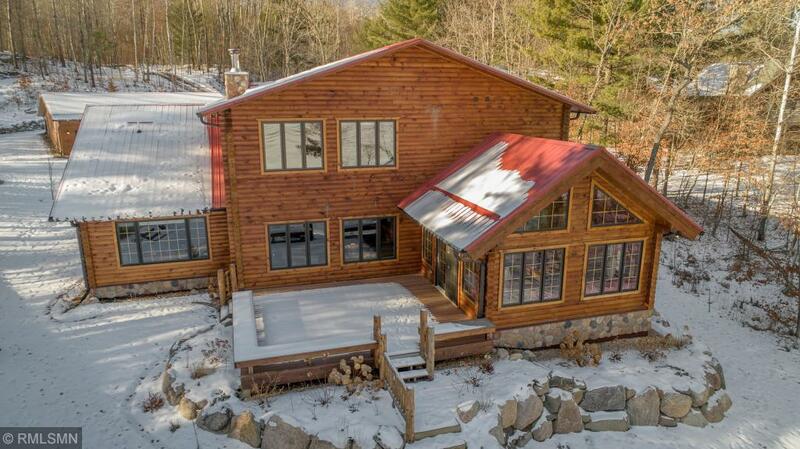 Top of the line Nor-Son built home on 191&apos; of level shoreline on Ten Mile Lake! You&apos;ll appreciate attention to detail on both the home & grounds. 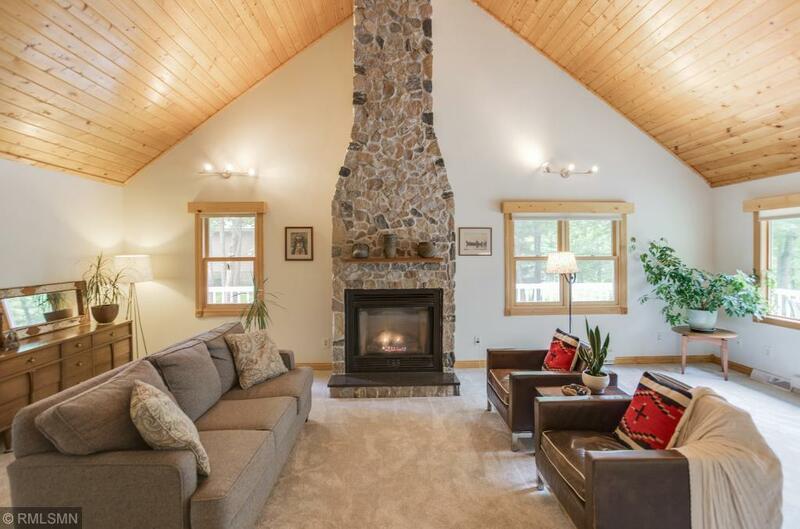 Custom log work & 3 fireplaces give a warm up-north feel, while vaults & lake-facing windows provide a spacious feel. The dining & living areas flow into an outdoor entertainment area, perfect for summer guests! Owner&apos;s suite + home office gives privacy. On one of MN clearest & deepest lakes. See Video tour! This lot is situated near the end of prestigious Log Home Drive on Benedict Lake. It&apos;s a bluff lot but has a large, arched and level lake shore area that is perfect for creating the ideal lakeside entertainment area. Has excellent frontage with arching cedars out over the lake. Access to all that Leech Lake offers through the scenic channel into Kabekona Bay from Benedict Lake. Cute cabin in the woods. Updated wiring, bathroom, kitchen cabinets, windows, flooring, furnace, and shingles. 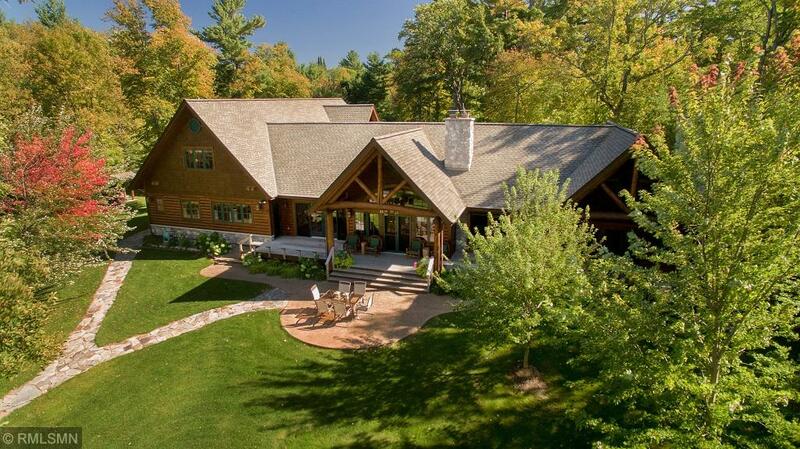 Newer MN Log Home on prestigious Ten Mile Lake. 4 bedrooms, 4 baths, main floor master bdrm overlooking the lake, upper bdrms can sleep 12, wood fireplace, sunroom, attached heated garage and 35x48 dt garage. Extensive perennial landscaping, sprinkler system, asphalt circle driveway, and lakeside shed. 190 ft of lakeshore. 2.15 acres. Gradual elevation to the lake that includes a nice swimming area. Some furnishings, dock and lifts included. See Virtual Tour. Stunning sunset views over the crystal clear waters of Thunder Lake! This upscale lake home was custom designed and built for luxury lake living. Gourmet kitchen w/ Viking appliances to the private owners suite + office you&apos;ll appreciate every upgrade. The open floor plan is perfect for socializing with friends and family, while 4 bed and 4 bath and over 5,000 sq ft have room for all. 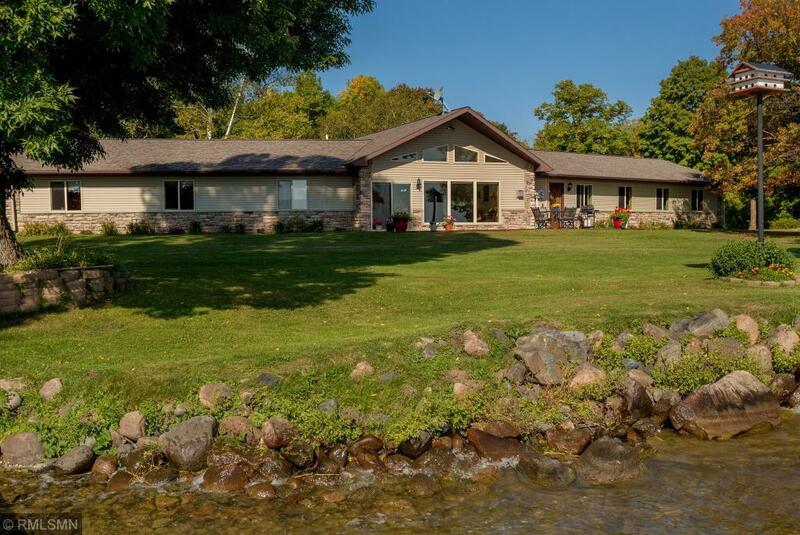 W/ 207&apos; of shoreline and 5+ acres you&apos;ll feel like you&apos;re up north at the lake. Boat to dinner right on Thunder! TRACT 3. Nicely wooded lot west facing with 120 ft of lakeshore on Miller Bay off of Shingobee Bay of Leech Lake. Never been offered before, recent split. Close to town and casino on a black top road, next to the Paul Bunyan Trail System. No covenant or restrictions, RV&apos;s and motorhomes welcome or build your up-north get-a-way. 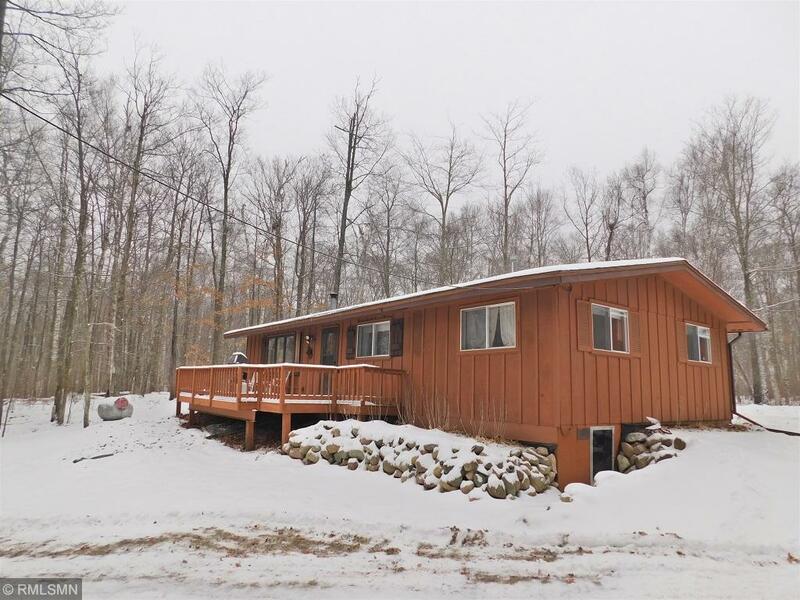 Opportunity awaits you at this cozy 3bed/2bath country home with over 5 acres of land, nestled in the heart of the Chippewa Nat&apos;l Forest. 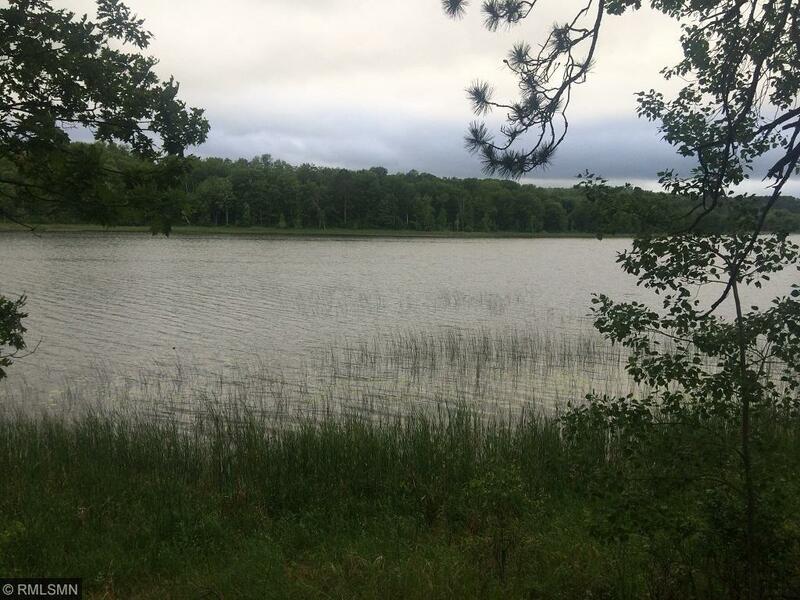 You&apos;ll love the north woods seclusion, yet less than 5 minutes from Longville. 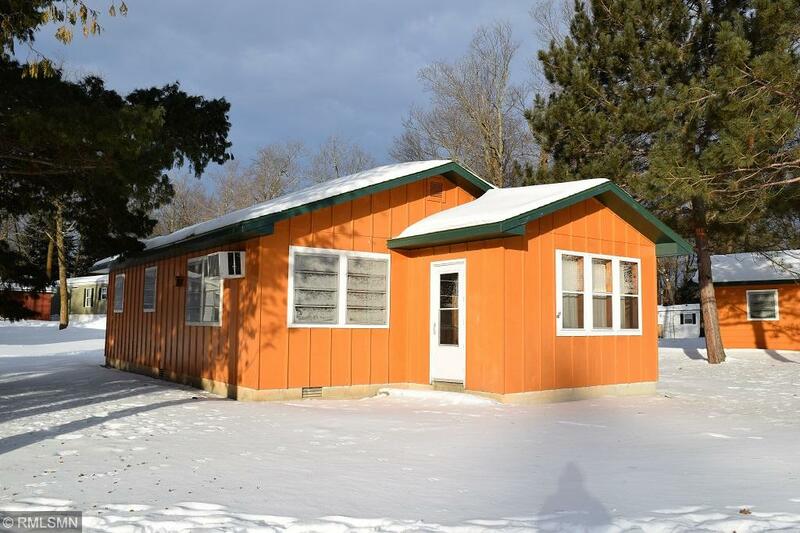 Home features new roof in 2018, vaulted knotty-pine ceilings, & a free-standing wood stove. Adjacent to public land, you&apos;ll enjoy hunting, hiking, & wildlife right out your door. Only minutes from famed Leech & Woman Lakes. 3-stall garage for all the toys! Can be fully furnished. PRIME Walker commercial building on the main street in beautiful downtown Walker is now available for sale. With over 5000 square feet, this is an affordable opportunity for any business. Features include both an upper and lower level open concept space for almost any business & 3 private parking spots in the back alley. Currently a retail store, this charming space could fit a multitude of entrepreneurs. Enjoy both virtual tours including an aerial video showing this amazing location. Remarkable in every way! Find true privacy w/over 1200&apos; of shoreline & 24 acres. Stunning home offers the finest in materials & workmanship w/floor plan perfect for entertaining. 4-BR guest home offers comfort & privacy to your guests. 4900 sq ft garage. This level building site is ready for you to build with the septic and well already in. Finished living quarters in the garage plus an RV hook up to use right away! You&apos;ll love being on Girl Lake, part of the famed Woman Lake chain, well known for its outstanding fishing, boating, & water sports! This lake property is setup to enjoy now with full living quarters built in the insulated/heated garage, including a 3/4 bath. Gradual elevation + privacy! 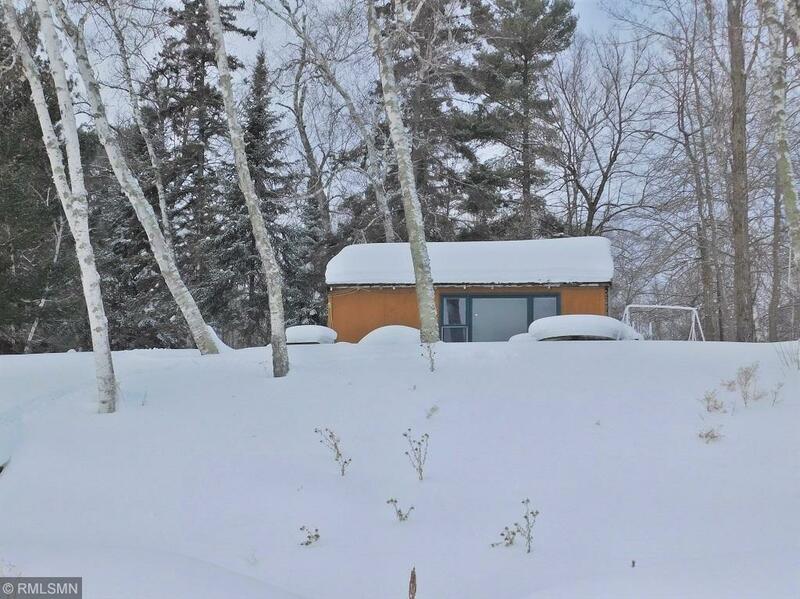 Up North year-round cabin on private lot with 180 feet of shoreline on Woman Lake with 2.43 acres. Large loft for extra sleeping quarters along with walkout basement for extra storage and guests. Double sided fireplace in living room. Large deck overlooking premier Woman Lake. Screened-in porch and 2 storage sheds included. 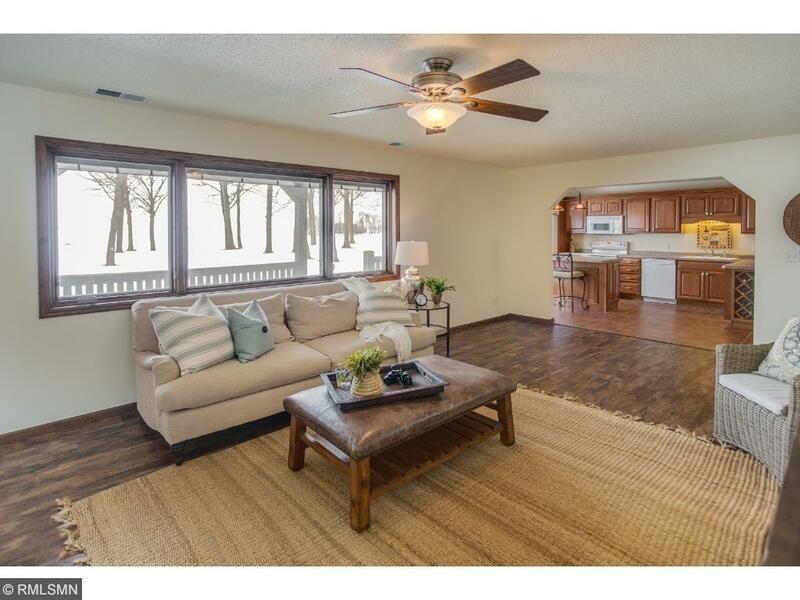 Beautiful views of Leech Lake, over a level sandy beach at this stand alone townhome w/harbor slip! Perfectly maintained inside & out, everything is ready for you to start your care free lake lifestyle. Updated kitchen & comfortable open floor plan are perfect for entertaining at the lake. You&apos;ll love the incredible location on Walker Bay, & it&apos;s conveniently located by Walker! 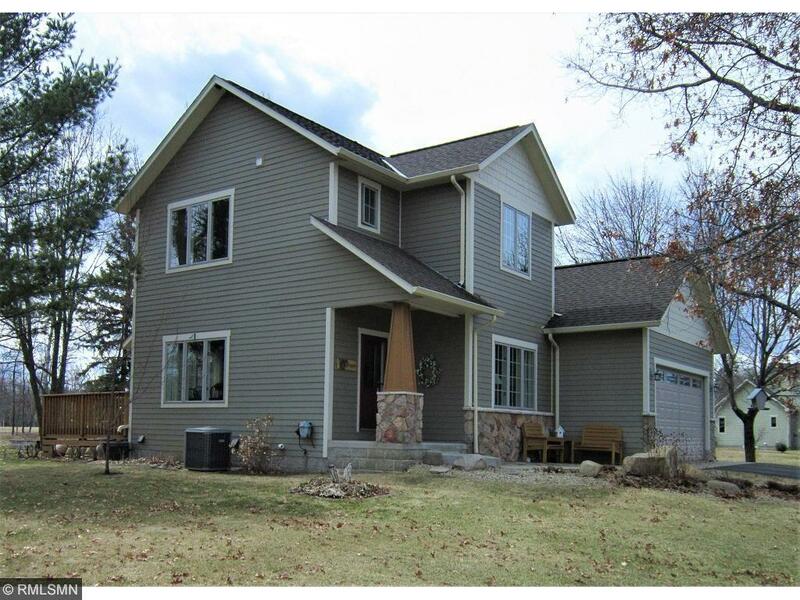 Newly updated 4-Bed/2-Bath home on beautiful Long Lake! Enjoy swimming, watersports, & fishing on the sandy shoreline & crystal-clear waters of Long Lake. Long offers 11+ miles of shoreline with 5 islands, & miles of National Forest shoreline for boating & fishing! 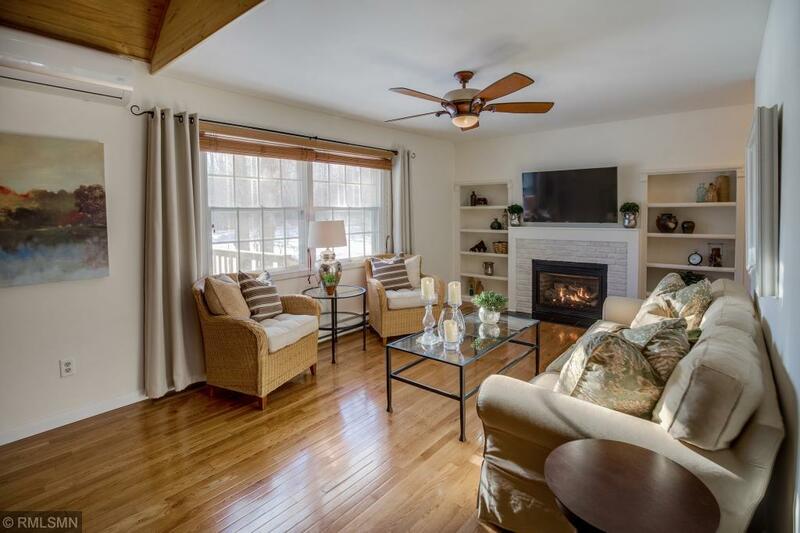 You&apos;ll love the warm feel of a real stone wood burning fireplace, & conveniences of laundry + dishwasher + updated kitchen. 2 car garage plus a backlot gives you room to store toys. All located just minutes from friendly Longville! Located on prestigious Ten Mile Lake, this partially constructed cabin features 2 x 6 walls, open floor plan, vaulted ceiling, Andersen windows, fireplace footings, partially insulated, well & septic installed (& compliant), large lakeside deck, cedar siding, walk-out lower level & more. MANY building material will remain with the property that were purchased & never installed. Property features 130&apos; of hard rock/sand frontage & gorgeous sunrise views. Property sold in "as-is" condition. 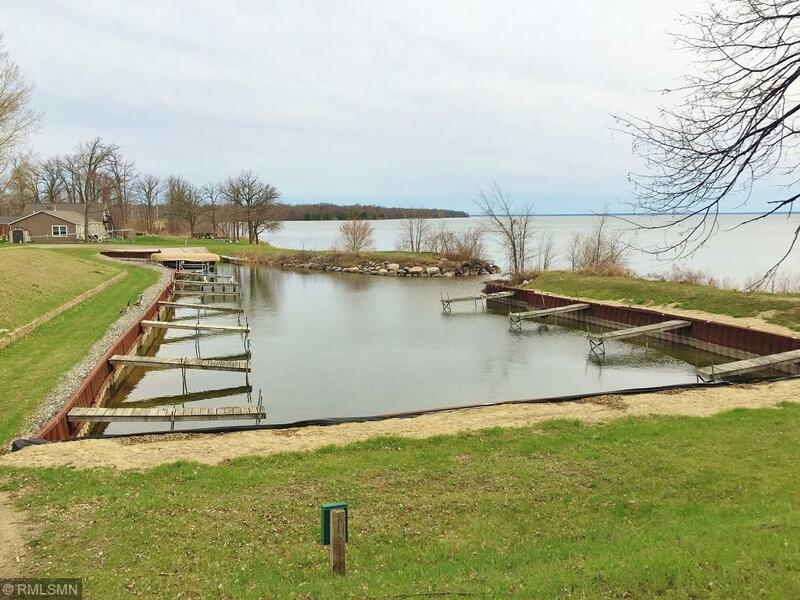 Attention buyers who want lake shore on Pine Point of Leech Lake. Nicely wooded lot with gorgeous views of the lake and includes a harbor slip. Ready to build your dream home! Located on prestigious Ten Mile Lake, this charming home features two gorgeous REAL stone fireplaces...one wood burning in the living room & one propane in the lower level family room, open floor plan, porch area, lakeside deck, walk-out lower level, 2-stall detached over-sized garage & more. 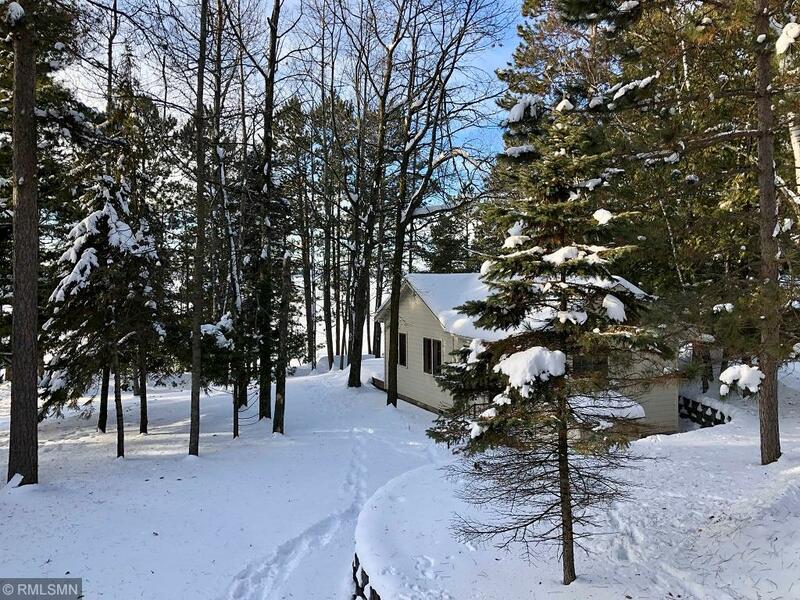 This property is beautifully landscaped & features 105&apos; of frontage, gorgeous sunset views & is just 5 miles from the Paul Bunyan State Trail for all of your hiking, biking and snowmobile adventures! 81+ acres close to the south side of Woman Lake and close to Mule Lake. Fall foliage is prime. Great buy for hunters or just a quiet spot in the woods. Joins State of MN DNR land. 300 ft of prime lakeshore on Birch Lake in Hackensack. 6 fully furnished seasonal cabins, main home is a manufactured home, 2 garages (24x60 & 20x26), city sewer, sand beach, playground, fire pits, fish cleaning, boat house, all on paved road to property. Facing west for spectacular sunsets. Close to the Paul Bunyan Trail. Property can be sub-divided into 3 lake lots. Property being sold “AS IS”. Newly remodeled home, very tastefully done with fabulous views of Walker Bay of Leech Lake through large windows and huge deck. Features an open floor plan, roof windows, master suite 3/4 bath & finished walkout basement with lake-facing sliding glass doors on both levels. All of this walking distance to town and bike trail. Beautiful views of Girl Lake, the deepest & clearest lake on the famed Woman Lake chain! Gradual elevation to sandy shoreline will have you enjoying the lake every day. This vintage 3 bedroom lake cabin is on two hundred feet of shoreline. The Woman Lake chain is known for its excellent fishing, scenic beauty, & endless miles of boating, with dining on the water! Magnificent Craftsman Style 4 Bdrm 4 Ba Home w/extra garage for gardening items and outdoor toys. All structures include new shingles. This Property is tastefully landscaped and waiting for you to sit by the fire pit or the cozy front patio to enjoy all the beautiful surroundings in this upscale neighborhood just 3 miles from Downtown Walker. Some features are: Large Kitchen w/ center island and pantry, Master Suite w/ walk in closet and two covered slips in Association Harbor. Less than 2 miles from picturesque Walker, this 3 bedroom/2 full bath home features vaulted ceilings, large kitchen, open concept living area, master bedroom suite, large yard, deck, insulated single-stall detached garage with attached workshop & more. This economic home also has an outdoor wood boiler plus a propane forced air furnace for heating the home. 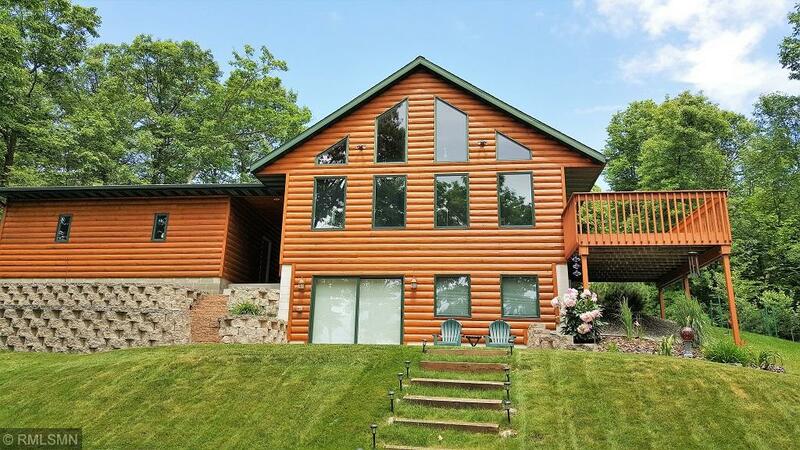 Less than 1 mile from the Paul Bunyan Trail, this home sits on 1.28 acres and is close to all of the lakes that the area has to offer. Less than 2 miles from downtown Longville, this darling YEAR-ROUND cabin is located on charming Boxell Lake. Features include 2 bedrooms and one full bathroom, large 4-season porch, custom built-in&apos;s, tons of storage throughout, 2-stall detached garage and more. This gorgeous 2.5 acre lot features towering pines, perennial gardens, 215&apos; of frontage and gentle elevation to the lake. Enjoy the aerial video and virtual tour! This adorable Walker home offers 2 bedrooms, 2 bathrooms and features an open floor plan, hardwood floors, amazing landscaping (including a fabulous water feature in the back yard), a single stall detached garage and more! This darling home is situated perfectly within walking distance to school, community center, city beach, park, library, bike trail system, grocery, post office and clinics. Previously a rental property, this home is being sold in "as-is" condition. Here&apos;s an inexpensive way to enjoy all that Leech Lake has to offer. Wooded lake access lots include a protected harbor slip and access to a common sand beach area. Recently redone harbor also has private boat launch. All building sites are within walking distance of the lake and are part of a very quiet, new development. Lots priced from $20k to $35k. At these prices, they won&apos;t last long! Great off-lake property close to Boy Lake public access with over 11 acres, adjacent to public land. Great year round, 2 bdrm cabin/home on one of the better fishing lakes in our market area. You&apos;ll enjoy this level lot with rip rap shoreline & hard bottom swimming. Thousands of acres of public land close by for hunting, ATVing, & snowmobiling! Located 1 mile from Hackensack are 2 wooded 2 +/- acre adjoining lots. Lot 14 $20,900, lot 15 $18,900. Only blks away from the Paul Bunyan Trail. 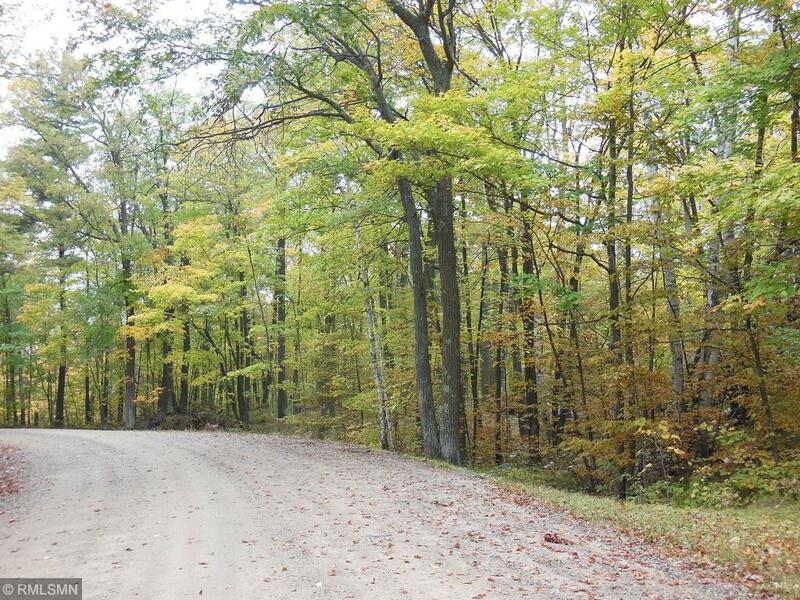 Lots are nicely wooded & private, yet close to Hackensack & across the road from Birch Lake. Experience easy living in this GROUND FLOOR - END UNIT Leech Lake condo just 11 miles from Walker on beautiful Horseshoe Bay. This single level floor plan features open concept living, master bedroom suite, lakeside patio just steps from the sugar sand beach, garage & more. Owners also have an agreement to use amenities at Horseshoe Bay Resort. Those amenities include a fitness center, indoor heated pool, hot tub, restaurant & lounge, marina, sauna, water toys, free boat launch & more! This cozy, 2BR cabin has a garage & lot across the road. A lakeside tuck-under garage adds additional, convenient storage for the lake toys. Nice elevation with gentle slope to the lake & great swimming! 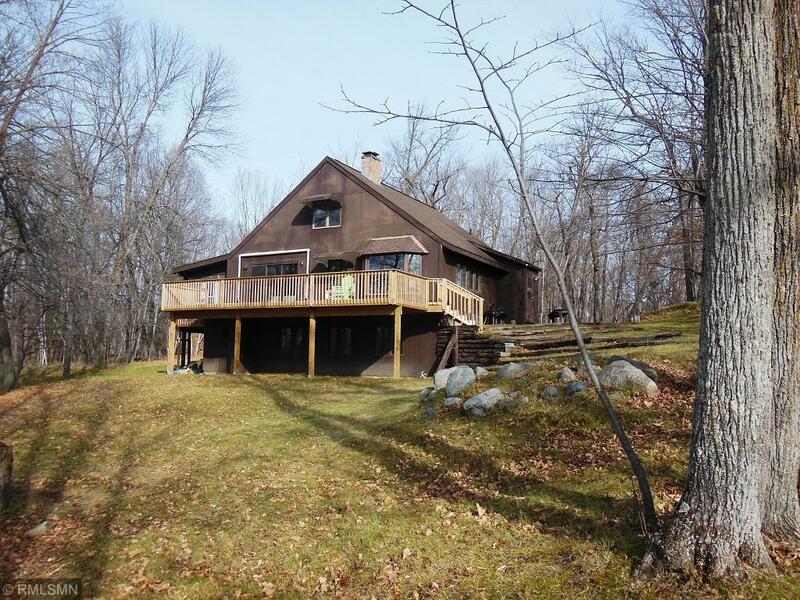 Built in the 50&apos;s & nicely maintained, this cabin has nostalgic, up-north charm throughout. 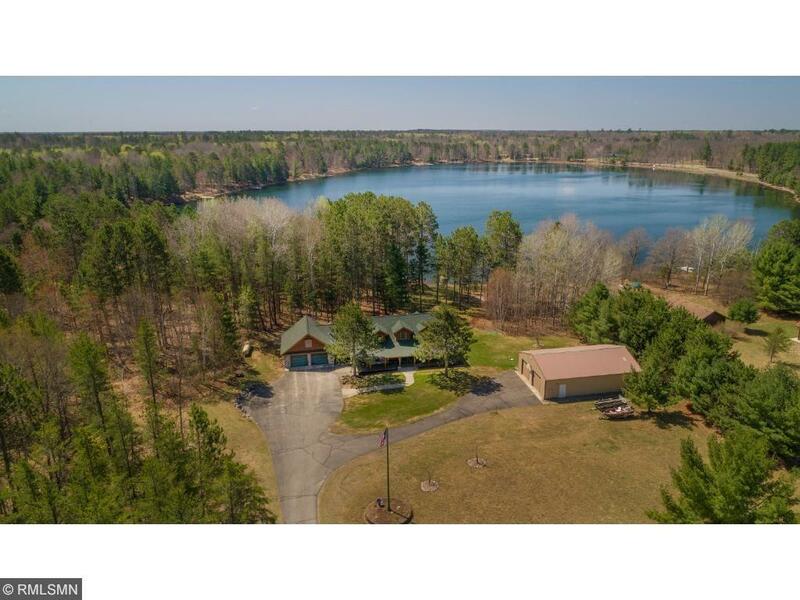 One of the best lots on the market today, this private Leech Lake home features 177&apos; of hard, level frontage, .9 acres & easterly views for spectacular sunrises. Home boasts an open concept living area, cathedral ceiling, double sided Wilkening wood-burning fireplace, loft, screened porch, lakeside deck, fabulous lakeside fire pit area, attached double garage, storage shed for the toys & more. All bedrooms, bathrooms & laundry area are ALL on the main floor. Make sure you check the aerial video! Everything about this property is hard to beat. Private, yet great access on a township road. About five acres on the lakeside lot and an additional 10 across the road. Perfect elevation with westerly views on a great fishing lake. It&apos;s actually the old community swimming spot where everyone came on hot summer days. This one won&apos;t last long! Situated on a quiet double lot with 250&apos; of frontage and 2.2 acres, this Trillium Lake home features vaulted ceilings, a REAL stone gas fireplace, hardwood flooring, tongue & groove accents, 3-season lakeside porch, lower level family room area, walk out lower level, wrap around deck, 3-stall detached garage, multiple sheds, paved circle drive, garden area & more. This quiet location is situated just 8 miles from Hackensack and 11.5 miles from Longville. Privacy on the lake with big sunsets, level elevation, and sandy shoreline! This spacious, updated home offers an open floor plan, large lakeside patio, & a recently updated kitchen - perfect for socializing with friends & family! The owner&apos;s suite offers a tile walk-in shower & separate jetted tub, adding to your privacy & comfort. 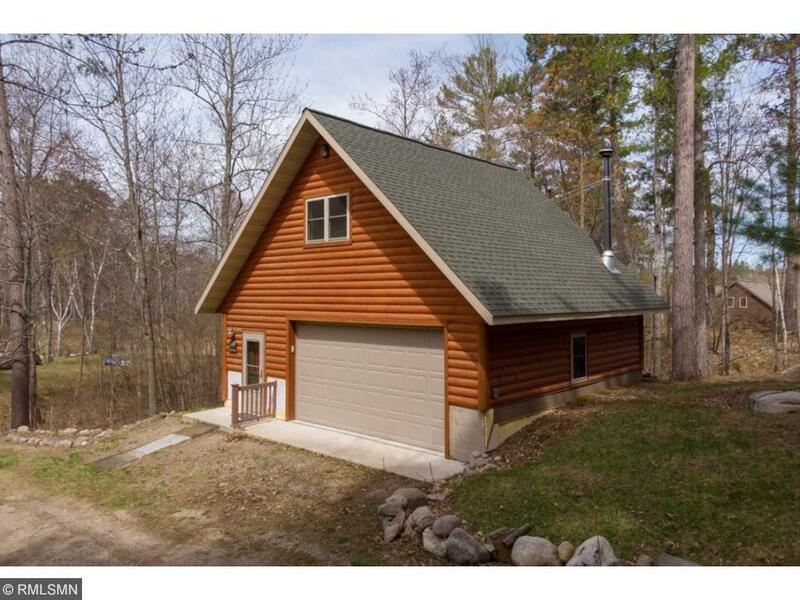 The attached garage & detached pole barn provide ample space for up-north toys! Conveniently located just south of friendly Longville!